A dynamic and bold new Louis Jane textile design, this scarf is a beautiful display of jewel tones. Inspired by wild grasses gracefully blowing in the wind across an open field, this textile calls to mind the interaction and energy between earth and wind. 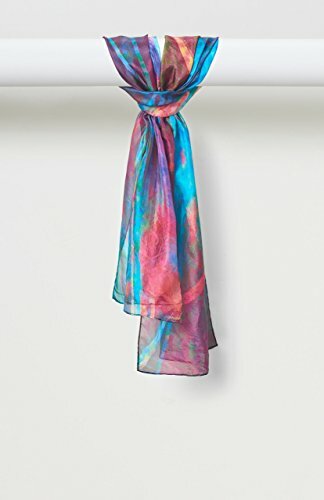 Each painterly scarf measures 17″ x 72″ in organic habotai silk. Variation in printing & color are hallmarks of digital printing with natural fiber-reactive dyes. Due to the nature of the materials, no two pieces will be exactly alike.